Make that two things. It’s also a telecommunications black spot. No wait – three. There is no TV. The last isn’t so bad. 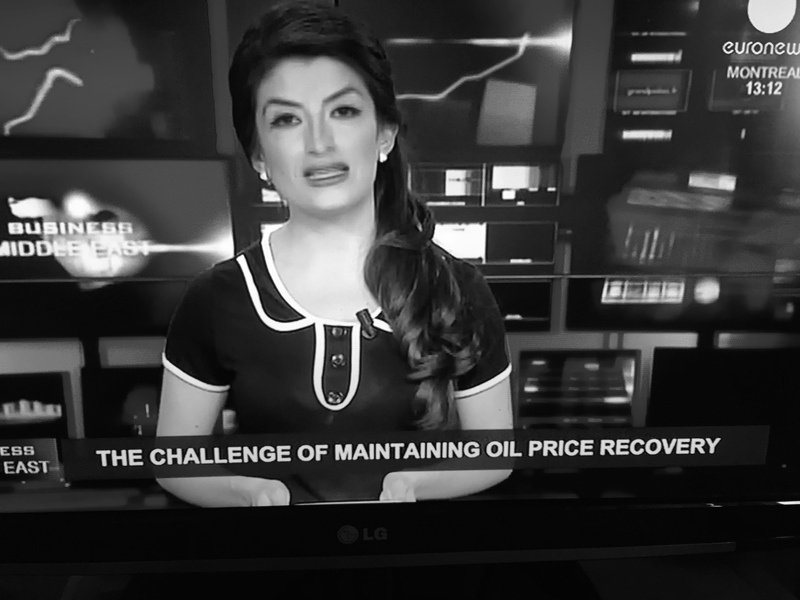 I miss Euronews and the Marg Downey lookalike who made the business report from the Middle East endlessly entertaining. But I can live without it and her for a few weeks. Having no wifi means I’m unable to use all those wonderful apps that allow me to talk for hours to friends and family in Australia. I have some data allowance as part of my prepaid French sim card but even that is useless when I’m in a black spot. Oh well. I had the foresight to download every series of Breaking Bad onto my hard drive for just such an occasion. This Can Do fledgling traveller has thought of every contingency. Except Quick Time. You soon find out there is a solution. My three weeks in France (yay-happy anniversary to me) have taught me that most problems have a solution. It might be expensive, it might be difficult, it might be downright unpleasant but it’s out there somewhere. And where would my solution be you ask? That’s right. On the INTERNET! So today was going to be the day. 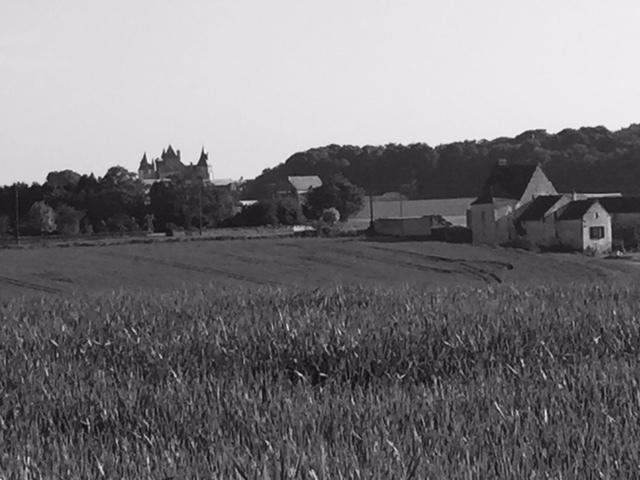 After a wonderful morning roaming around L’Abbaye Royale de Fontevraud, I returned chez moi to have a think. This called for some serious troubleshooting. And this is what I came up with: I would drive around Seuilly and surrounds with my phone propped up on the dashboard so I could see when it hit 5 bars. Then I would pull over and fire up the Mac, sync it with the phone data et voila! 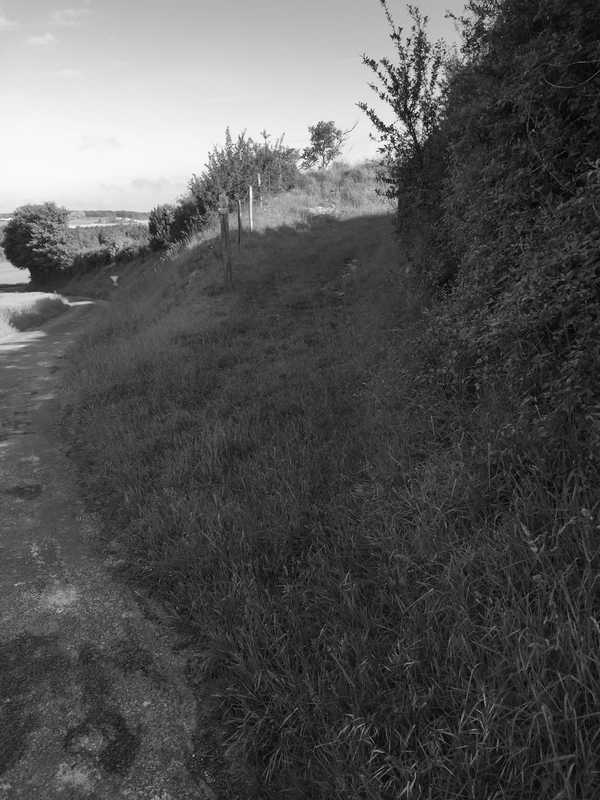 I cranked up the Peugeot and started crawling around the local country lanes. The bars stayed at none to two. I increased my orbit. Got a bit excited when I hit 3 bars. Still not enough. Suddenly we had lift off. 4 bars and I wasn’t goin nowhere. I reversed back about 3 metres and parked in the entrance of a lane marked Reserve du Chasse. Yes folks they still love a bit of hunting and killing hereabouts. Hoping it wasn’t middle-aged white female season – and yet not even caring that much if it was – I enacted my exquisite plan. I won’t go into details but I nearly paid $6 for a program that wouldn’t have helped me, so prehistoric was my dinosaur – no I already said not you Robert. In the end I downloaded a free program and returned home triumphant. I hope my younger son reads this. It’s not the sort of thing you’re allowed to crow about to your children but if any of you see him, I’m fine with it if you happen to mention it. So I’m now set for tonight’s viewing. Perfect spring evening outside my (French) door? Check. Glass of the local chenin blanc? Check. Goat’s cheese and fresh baguette? Checkeroony. Thanks very much. Technology and I haven’t always been the best of friends.